W.C. Brann acquired a third grade education, ran away at age thirteen in 1868 from the Illinois family who took him in after his mother’s death, and bounced around the country until he found work as a printer’s devil and cub reporter. He wrote for the St. Louis Globe Democrat, Galveston Evening-Tribune, Austin Statesman, San Antonio Express, and Houston Post, soon gaining a reputation as a brilliant though vitriolic editorialist. Brann and his wife had two daughters and a son. 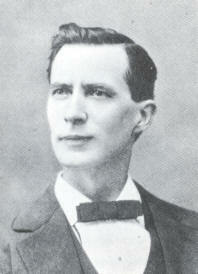 After his thirteen-year-old daughter committed suicide in Houston in 1890, the family moved to Austin where Brann decided his editorial experience and the publication of three of his plays offered reason enough for him to use the limited family savings to begin publishing his “journal of personal protest,” the Iconoclast. It quickly failed. Brann sold the journal to William Sydney Porter, the Austin writer who later became famous as O. Henry. After several more moves Brann ended up in Waco in 1894 as chief editorialist for the Waco Daily News. The following year he acquired the journal from Porter and started publishing the Iconoclast. This time the savagery of his writing coupled with the wisdom, wit and well-turned phrase gained attention across the U.S. and it many foreign countries, growing the circulation in three years to almost 100,000. Brann attacked wealthy eastern socialites such as the Vanderbilts, anything having to do with Great Britain and its people, the New York social scene, and women. He reserved his most vicious remarks for African Americans, and after reading one of his essays it is hard to imagine his popularity even in a day when lynching was accepted in many communities. Despite his many friends and supporters, the anger he stirred in Waco boiled over in October 1897 when a group of Baylor students kidnapped Brann and demanded he retract his statements about the university. A few days later a Baptist judge and two other men beat Brann. A year later a street fight between one of Brann’s supporters and two Baylor loyalists resulted in the supporter losing his arm and both men in the Baylor faction being killed. Finally, on April 1, 1898, Tom E. Davis, father of a female Baylor student, shot Brann in the back on one of Waco’s downtown streets. 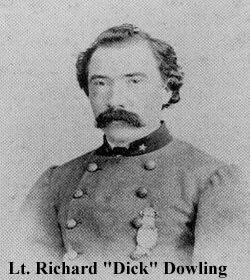 Despite having taken a bullet, Brann turned and began firing at his assailant, emptying his borrowed Colt Single Action Army Revolver into the body of Davis. Davis, writhing in agony on the ground, continued firing until he emptied his gun. Both men died the following day. 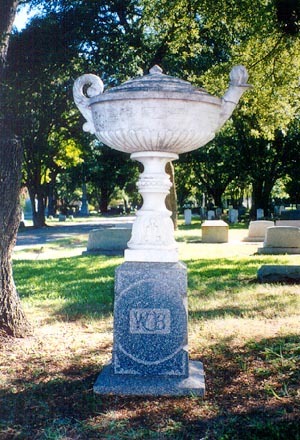 The word TRUTH is engraved on Brann’s monument in Waco’s Oakwood Cemetery. Beneath the word is Brann’s profile with a bullet hole in it. One source claims Brann’s wife Carrie Belle moved the Iconoclast to Chicago and continued covering Texas issues. Baylor University holds the William Cowper Brann Collection in its Texas Collection. Two years after his death in 1687, explorer, fur trader, Frenchman, and visionary René Robert Cavelier, Sieur de La Salle deserves credit for the government of New Spain’s decision to construct missions in East Texas. The story springs from the massive colonization and exploitation of the New World by powerful European countries. Although Norse explorers reached the Canadian mainland as early as A.D. 1000, Spain, beginning with Christopher Columbus in 1492, undertook the most aggressive campaign of colonization, spreading after 1500 from the Caribbean islands to the interior of North, Central, and South America. Although Portugal acquired what is present Brazil, the Spanish didn’t have serious competition until the 17th century when the English, French, and the Dutch began their incursions into the New World. The Spanish discovery of rich silver mines in Northern Mexico in the last half of the 16th century, led to settlements in the region. When dreams of finding riches in present New Mexico and Texas did not materialize, Spanish interest lagged until England began exploring the New World. The threat of competing empires prompted the Spanish crown to commission Juan de Oñate in 1595 to colonize present New Mexico. When Oñate reached El Paso, he claimed for Spain all the land drained by the Rio del Norte (present Rio Grande). For almost 100 years as Franciscans established more than twenty missions in New Mexico and travelers made the journey through El Paso, the Spanish government ignored the interior of Texas. All that changed in 1685 when Spanish officials heard that the Frenchman, René Robert Cavelier, Sieur de La Salle landed on the Texas coast. La Salle began his adventures in 1666 at age twenty-two when, with a small allowance from his family, he sailed from his home in Rouen, France to Canada to join his brother Jean, a Sulpician priest. La Salle worked in the lucrative fur trade, which led to his exploring the river systems connected to the Great Lakes and to his dream of establishing trading posts along the Illinois River and down the Mississippi. Originally believing the Mississippi flowed into the Gulf of Mexico and offered a western passage to China, he canoed in 1682 to the mouth of the river, named the territory La Louisiane in honor of Louis XIV, and claimed all the lands drained by the river for France. Upon his return to France in 1683, La Salle obtained the king’s blessing for a voyage to the mouth of the Mississippi to establish a colony, secure French Canada’s access to a warm water port for its fur trade, and challenge the Spanish Empire’s claim to all the land from the coast of Florida to Mexico. La Salle departed France on July 24, 1684, with four ships and 300 colonists. Plagued from the beginning with misfortune–pirates captured one ship in the West Indies, and recent discoveries of early documents indicate La Salle’s “lack of geographical understanding” caused him to miss the mouth of the Mississippi and sail another 400 miles to Matagorda Bay on the mid-Texas coast. As the expedition entered the mouth of the bay on February 20, 1685, the rough waters of Pass Caballo sank the storeship Aimable. Her crew and several disenchanted colonists returned to France on the naval vessel Joly. Before La Salle’s colony moved off Matagorda Island, their numbers dwindled to 180. 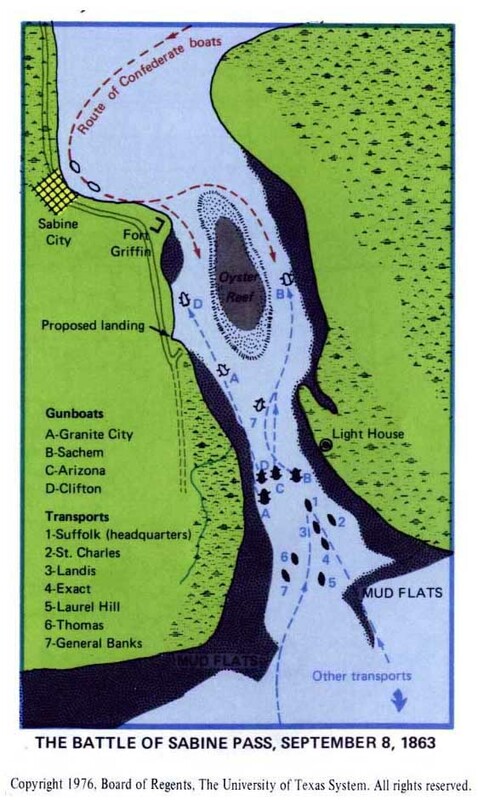 Malnutrition, Indian attack, and overwork reduced their numbers even more after they moved inland and constructed Fort St. Louis on Garcitas Creek in present Victoria County. The following October La Salle left Fort St. Louis to explore the region and determine his exact location. Upon his return in March 1686 La Salle learned a winter storm wrecked La Belle, the colonists only remaining ship. Finally realizing the bay they entered lay west of the Mississippi, La Salle made two marches back toward East Texas into Hasinai, or Tejas Indian territory hoping to find the Mississippi and reach the fort he had established on the Illinois River. On March 19, 1687, during his second march on which he took seventeen colonists with him, a dispute in a hunting camp resulted in the death of seven of his followers. Then one of La Salle’s own men asassinated La Salle. Six of the survivors finally reached Canada and eventually returned to France to tell their story. 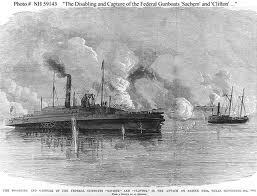 About twenty women, children, handicapped, and those out of favor with La Salle remained at Fort St. Louis. One of the children later recounted the story of all the adults being killed in a Karankawa attack around Christmas 1688. Karankawa women saved the children whom the Spanish eventually rescued and sent as servants to Mexico. When Spaniards learned of La Salle’s intrusion into Spanish Texas, they began the search–five sea voyages and six land marches–in pursuit of the French intruders. They found the wrecked Belle and parts of Aimable on April 4, 1687, but it took another two years before Alonso De León discovered the destroyed settlement. 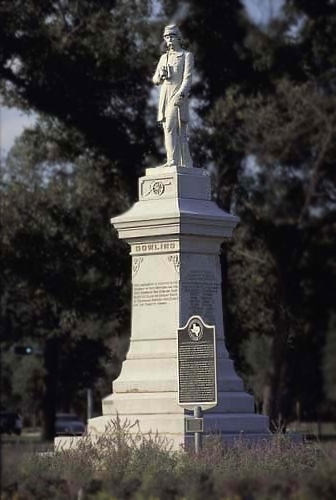 The French arrival in Spanish Texas, coupled with concern over French intrusion into East Texas from Louisiana, prompted Spanish officials to establish six missions in East Texas to Christianize the Indians, turn them into good Spanish citizens, and establish the region as a buffer against French Louisiana. The first, Mission San Francisco de los Tejas opened in 1690 and lasted only three years before the padres fled. The endeavor taught the Spanish about the land, the Indian culture, and convinced them future missions must be accompanied by presidios and civilian settlements. The East Texas missions by 1772 moved permanently to San Antonio. 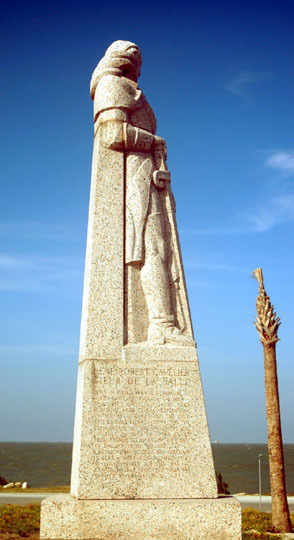 Today a statue of La Salle looks out into Matagorda Bay near the ghost town of Indianola and streets, cities, counties, hotels, causeways, and schools bear the explorer’s name from Texas to the Canadian provinces. In 1995 the Texas Historical Commission led an archeological excavation in the muck of Matagorda Bay to raise La Belle. Her artifacts, which the commission holds in trust for France, are displayed in nine Texas museums. The wreckage of L’Aimable has not been found.